Gathering information can help you gain credibility and make your work current and relevant. 1.1.1 – Why Gather Information? If you are already an expert on your topic, why should you take the time to gather more information? Personal expertise is a great source of anecdotes, illustrations, and insights about important issues and questions related to your topic. However, one person’s opinion holds less weight than an opinion that is shared by other experts, supported by evidence, or validated by testimonials. The process of gathering information provides opportunities to step beyond the limitations of your own experience and enrich your own understanding of your topic. Here are a few of the benefits you can reap from gathering information. 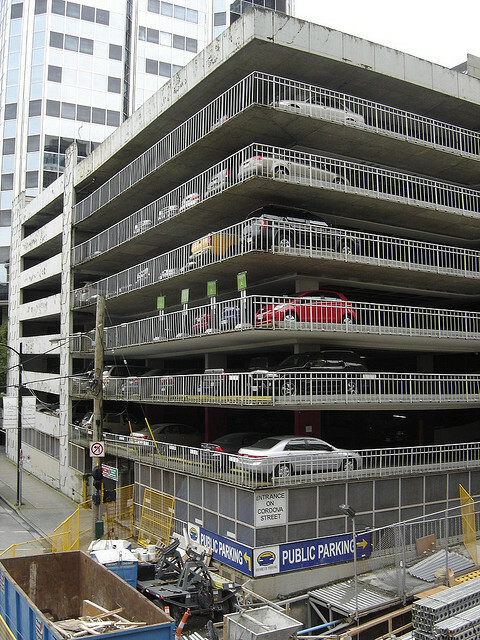 Gaining Credibility: A parking garage in another city provides “concrete” evidence (pun intended) to support your argument that the structure encourages people to shop downtown. If you want the audience to trust your claims, back them up. Don’t expect the audience to take your word for it, no questions asked. Find evidence, illustrations, anecdotes, testimonials, or expert opinions that support your claims. Compare these two statements—the first is a personal opinion, and the second is an argument supported with evidence. Which statement sounds more credible? I believe that building a parking garage near the town square would bring more traffic to local businesses and boost the local economy. Everyone knows it’s impossible to find parking on weekends here, and that keeps a lot of people at home on weekends. Small businesses in our sister city, Springfield, reported losses comparable to ours after the financial crisis. 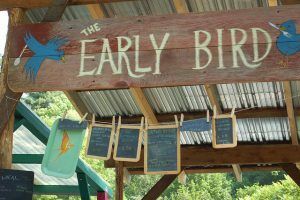 However, everything changed for them last year: businesses reported that sales were up, and a few new businesses opened in the center of town, creating new jobs. Why didn’t we get the same result? The mayor of Springfield credits the change to a new parking garage near the city center, which eased the parking shortage and brought more people into town on weekends. What can we learn from this story? There are people out there who want to patronize local businesses but are being driven away by the lack of parking. The plan for a new parking garage in our town square could bring us the same success we saw in Springfield. The first statement relies on a “common sense” idea about parking convenience, which the audience may or may not agree with. By providing an example of a similar situation, the second statement lends credibility to the claim that a new parking garage would help the local economy. Teenagers spend too much time with their electronic gadgets. This obsession takes them away from the real world and leaves them unprepared for adult life. According to a recent study from the Kaiser Family Foundation, teenagers spend over seven and a half hours a day using electronic devices—mainly smartphones, computers, and TVs. This preoccupation leaves little time to give undivided attention to homework, family time, and extracurricular activities, all of which are essential steps toward adult life. The first statement relies on unfounded opinions, leaving gaping holes in its argument. Perhaps teenagers do spend too much time with their devices, but how much time do they spend and why is it a problem? It sounds like a curmudgeonly rant about “kids these days.” The second statement backs its claim up with evidence from a recent study and lists specific problems. Recent information makes it possible to define the problem clearly. Different audiences have different needs. When you conduct an audience analysis, you will gain valuable demographic information—and you should use that information to guide the search for supporting evidence and illustrations. What would resonate with that particular group of people? Let’s say you are counseling an audience of nursing students in Florida about their job prospects. If you have general knowledge about nursing jobs, you have a good starting point. If you seek out information about the current market for nursing jobs in Florida, you will have information that is even more valuable to your audience. Make sure your work is relevant to your audience: take the time to build on your area of expertise by gathering specialized information to fit the occasion. When you begin the research process, explore a variety of sources to discover the most useful information. 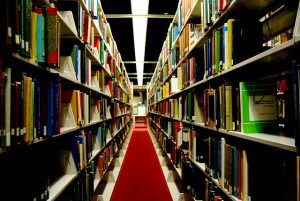 Library : Libraries provide many different resources for research, including research librarians, specialized databases, scholarly journals, and, of books. When it comes to research, do you feel completely lost, with no idea how or where to start looking for information? In these cases, a research librarian can be a real godsend. Research librarians are trained to give helpful advice about structuring the research process and looking in the right places for relevant information. Even if you’re comfortable with research, a research librarian may be able to save a lot of time by helping you refine your search. A bibliography is a collection of publication information about books, articles, and other resources that address a particular topic. 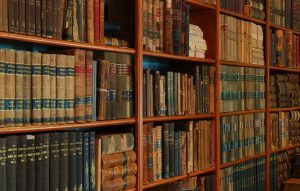 You may be surprised to discover how many topics have bibliographies dedicated specifically to them, from very specific topics such as the novel David Copperfield to broader topics such as American environmental history. Annotated bibliographies are especially helpful, since they provide a summary of each resource listed. If you are looking for general information about your topic, encyclopedias and other reference books are a great place to start. If you want something more specific, search for informative books about your topic and anthologies that include essays or articles about relevant issues. Specialized search engines and databases make it easier to target specific information and filter out irrelevant material. If you are affiliated with a university, you probably have free access to research databases such as JSTOR, EBSCO, ProQuest, and LexisNexis Academic. These services provide a variety of search criteria for finding relevant academic articles and news stories. If you are conducting independent research, try Google Scholar, which is free for everyone. If you want the most up-to-date sources of information about your topic, look for articles in academic journals and news publications. The Internet is a great resource for finding articles, but you have to be careful—make sure your sources are trustworthy. Books and articles published in academic journals usually go through a lengthy peer review process that verifies the author’s expertise and the material’s accuracy. Online publications and blogs may not have such reliable fact-checking procedures. If you find useful information in an unfamiliar online source, try to verify it elsewhere before incorporating it into your work. Age: Is the source recent? For most topics, current articles are more reliable than old articles, although some topics call for older research. Depth: How deep and detailed is the analysis ? Are its claims supported by valid evidence? Author: What are the author’s qualifications? Do the author’s biography and reputation raise the possibility of potential conflicts of interest or biases? What is the author’s agenda in writing the article? Money: Are the authors or publishers affiliated with institutions or corporations that have material benefits at stake in the issue? News sources often contain both factual content and opinion content. News reporting from less-established outlets is generally considered less reliable for statements of fact. Editorial commentary, analysis and opinion pieces, whether written by the editors of the publication (editorials) or outside authors (op-eds) are reliable primary sources for statements attributed to that editor or author, but are rarely reliable for statements of fact. When taking information from opinion content, the identity of the author may help determine reliability. The opinions of specialists and recognized experts are more likely to be reliable and to reflect a significant viewpoint. The Early Bird: As the saying goes, “the early bird gets the worm. ” When you start the research process early, you have time to find and incorporate the most relevant sources. Mark Twain once said, “It usually takes me more than three weeks to prepare a good impromptu speech. ” If it took that long for Mark Twain, one of the most eloquent speakers in American history, to write a “good impromptu speech,” students of writing and public speaking should take note and get a nice, early start on the research process. American philosopher Wayne Burgraff estimated that speakers should spend one hour of preparation for every minute of presentation. 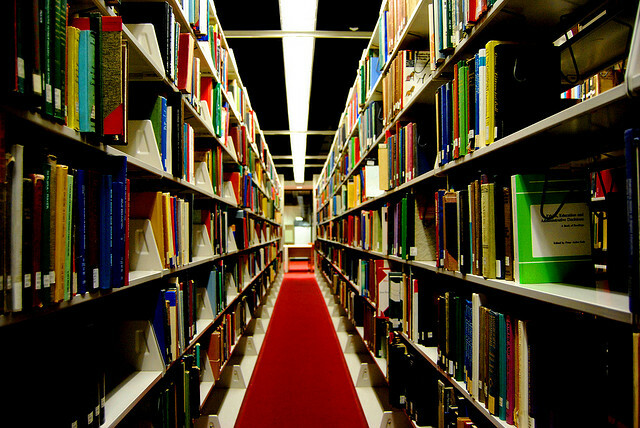 Consulting a bibliography will make your research process more efficient. Bibliographies compile publication information about books, articles, and other resources that address a particular topic. Some bibliographies appear as standalone books, while others appear in academic journals or online resources. Annotated bibliographies summarize the main argument of each resource. If a bibliography is recent enough, it can be a one-stop shop for all of your research needs, pointing to many credible sources. However, if the bibliography is old, or if you need the most current information about your topic, you should fill the gap between the end of the bibliography and the present time by looking for articles and books from that time period. “90% of everything” might be an exaggeration, but, sadly, there is a lot of garbage out there. If you carefully evaluate your sources to make sure they are credible, you stand to save yourself a lot of trouble. Here’s a cautionary tale: Iranian news outlet Fars became a laughingstock after it picked up an American news story claiming that the majority of white Americans in rural areas would rather vote for Iranian President Mahmoud Ahmadinejad than President Barack Obama. That doesn’t sound quite right, does it? Of course, the original story came from The Onion, a satirical newspaper. If the journalists at Fars had checked out their source, they could have avoided an embarrassing mistake. Use your critical thinking skills to make sure you understand the context of your research! Reliable sources must be strong enough to support the claim. 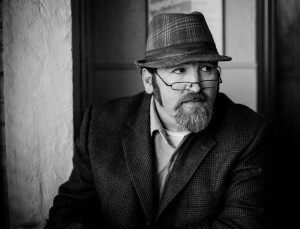 A lightweight source may sometimes be acceptable for a lightweight claim, but never for an extraordinary claim.Questionable sources are those with a poor reputation for checking the facts, or with no editorial oversight. Such sources include websites and publications expressing views that are widely acknowledged as extremist, that are promotional in nature, or which rely heavily on rumors and personal opinions. Questionable sources are generally unsuitable for citing contentious claims about third parties, which includes claims against institutions, persons living or dead, as well as more ill-defined entities. The proper uses of a questionable source are very limited. Sometimes “non-neutral” sources are the best possible sources for supporting information about the different viewpoints held on a subject. When dealing with a potentially biased source, editors should consider whether the source meets the normal requirements for reliable sources, such as editorial control and a reputation for fact-checking. Editors should also consider whether the bias makes it appropriate to use in-text attribution to the source. Each source must be carefully weighed to judge whether it is reliable for the statement being made and is an appropriate source for that content. In general, the more people engaged in checking facts, analyzing legal issues, and scrutinizing the writing, the more reliable the publication. Physical materials are categorized by a numbering system, and digital materials are easily searchable on library computers. Finding the correct information in a library can be a daunting task given the sheer number of resources. To make things easier, libraries have adopted classification systems. There are a number of ways to begin the search for materials. You can just jump right in and start searching which is great if you know where to look, but frustrating if you don’t. You can go to the library computers which are linked to the library database of material. This allows you to put in the name of the author, the title, or a keyword to find out what materials might contain the information you are looking for. You can also simply ask a librarian. Even as more and more information is digitalized, asking a librarian remains one of the most effective ways to find information. 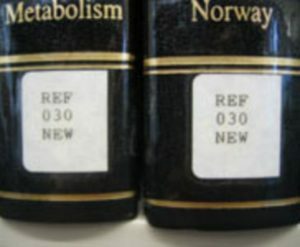 Dewey Decimal Categorization: Library books have a sticker with a categorization number on them. Books are sorted and organized based on the numbers. Physical materials (e.g., books, manuscripts, CDs) are categorized by a series of numbers and letters. The main systems of classification are the Dewey Decimal Classification, the Library of Congress Classification, and the Colon Classification. Though most public libraries use the Dewey Decimal Classification, all of the systems work in essentially the same way. Each physical piece of material is assigned a number that relates to a hierarchical structure. The first numbers will be the broad subject (e.g., 300 is economics), the following numbers correspond to a subcategory (e.g.,.94 is European economy) and so on. Since the materials are placed in order on the shelves, finding the material is a matter of just finding the section with the corresponding codes. Of course, not all materials are on the shelves at all times. Libraries can reserve a copy or order it from a partner library. They will contact you when the material comes in so you can come pick it up. To use the library’s digital materials, such as e-books or subscription-based databases, you need to use one of the library’s computers. In some libraries, it’s enough to just be using the library’s wifi, but either way, the materials are not accessible without being at the library. The library computers should provide links to different databases with a brief description of what the database is good for. Then, you can go to the database and search the materials just as you would on Google. Libraries offer physical, digital, and human resources which can help you research subjects efficiently. 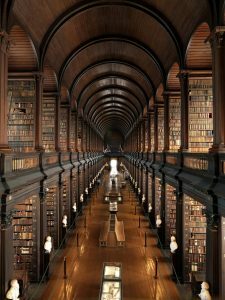 Although libraries are normally associated with books, they have numerous other research resources, many of which are beyond the scope of what is easily accessible at home or on the Internet. Moreover, while libraries have a plethora of both physical and digital resources, some of their most valuable assets are their human resources. Librarians are knowledgeable about what information is accessible from each resource and can make your research efforts easier and more efficient. 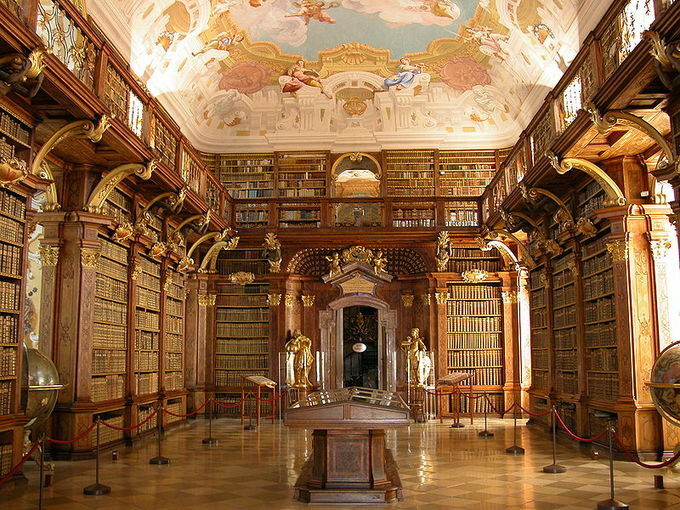 Melk Abbey Library: Books are the primary resource in a library, but there are many more resources that can aid in research. Libraries house a number of resources that you can locate, handle, and use immediately. These physical resources include periodicals, magazines, newspapers, maps, and manuscripts, though some may be used only at the library. In addition, many libraries provide media resources such as films, prints, CDs, cassettes, and videos that you can access during your visit. Of course, libraries also have books on a variety of subjects and often have book-sharing arrangements with other libraries, too. If you need a book that is not on the shelves, ask a librarian to order it for you, if possible. Some libraries can also arrange inter-library loans of media resources, too. 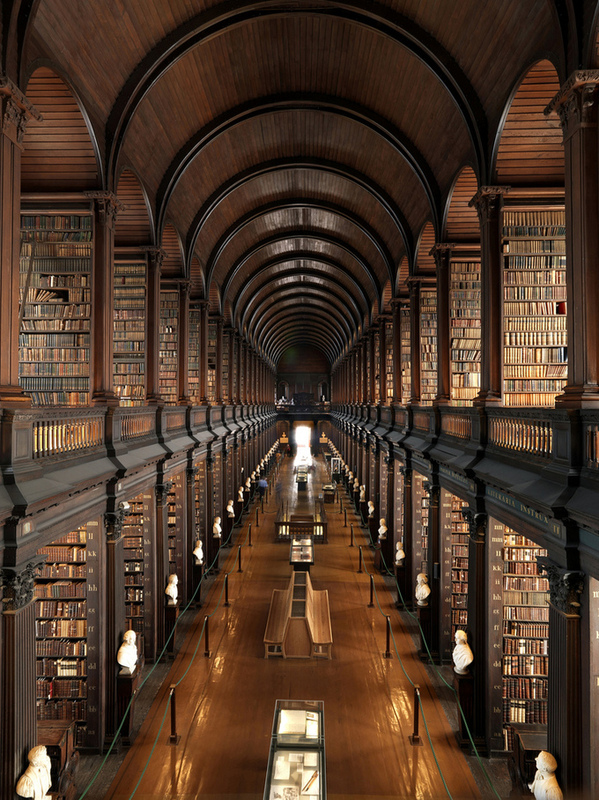 The advent of digital resources has greatly expanded the walls of libraries. Now, libraries have resources such as e-books and online databases which are not limited to physical locations within the library. Databases, in particular, are useful for researchers because they allow you to search for information by topic, category, author, date or other useful traits. However, many of the best databases are subscription based, so unless you work for a company that has a subscription or attend a university with one, the only practical (and affordable) place to get access is in the library. Databases may specialize in a certain field such as medicine, business, or engineering. These databases provide access to not only historical information, but also information that is not easily found through search engines like Google. The in-depth and historical information makes these databases one of the most valuable resources in the library. Because libraries can house and/or access so much information, you may not discover what you need until you have spent a lot of time exploring what is available. Enlisting the help of a librarian can often save you time because librarians are trained to evaluate all of their libraries’ resources, including the best ways for you to access them and whether they are the appropriate given your specific needs or interests. Librarians can also help you quickly learn to use technology or software, such as microfiche readers or database search programs, which you may need to complete your research. Internet search engines are powerful tools for delivering easily accessible sources of information in the research process. As you gather research for your work, you’ll want to have a variety of sources from which to compile supporting evidence and facts. With the advent of digital archiving, social media, and open-source education, it’s easier than ever before to find information on the Internet. 3.1.2 – Why Use the Internet? Using the Internet: With such widespread accessibility, the Internet allows you to conduct research from just about anywhere. The Internet is pervasive, easily accessible, and continually updated. It only makes sense to capitalize on this ever-evolving technology as a resource for your work research. 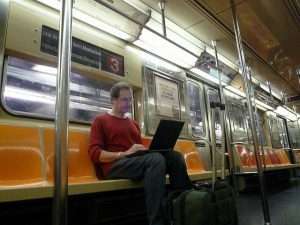 In addition to convenience and accessibility, the Internet allows you to access resources to which you may not have the physical means to get previously. You might not be able to just hop on a plane to Paris and see DaVinci’s La Jaconde (more commonly known as the Mona Lisa), but thanks to the Internet, you can now browse the hundreds of works at Le Louvre right from the convenience of your laptop. The Internet is also an excellent way to familiarize or orient yourself with an unfamiliar topic. While you might not be able to cite every informational source you find, using the Internet in your research process is a fast way to get yourself familiar with the basics of your topic, thesis, or key supporting points and arguments. When getting started with most Internet research, the first thing you’ll do is open up your Internet browser and open to a search engine. While Google may dominate the search engine market, recognize that Bing, Yahoo!, Ask, and AOL Search round out the top five most popular search engines in the United States. Other popular search engines include Wolfram Alpha and Instagrok.com. Using different search engines may yield different results, so don’t limit yourself to just one search engine. Additionally, some search engines excel at certain types of information and searches more than others. Internet information, particularly of a certain quality or standard, can be organized in other ways besides word choice and prominence (as attended by global search engines). Some information may also require further search skills to retrieve. A familiarity with midpoints like directories, “invisible” databases and an attentiveness to further types of organization may reveal the key to finding missing information. A thesaurus, for example, may prove critical to connecting information organized under the business term “staff loyalty” to information addressing the preferred nursing term “personnel loyalty” (MeSH entry for Medline by the [US] National Library of Medicine). Virtual Library: The Internet is like an endless virtual library where thousands of new sources of information are added every second of the day. The Internet can provide you with a wealth and variety of resources for your research process. The Internet is like an endless virtual library where thousands of new sources of information are added every second of the day. That being said, there are many different types of information to be found across the vast expanse of the Internet. 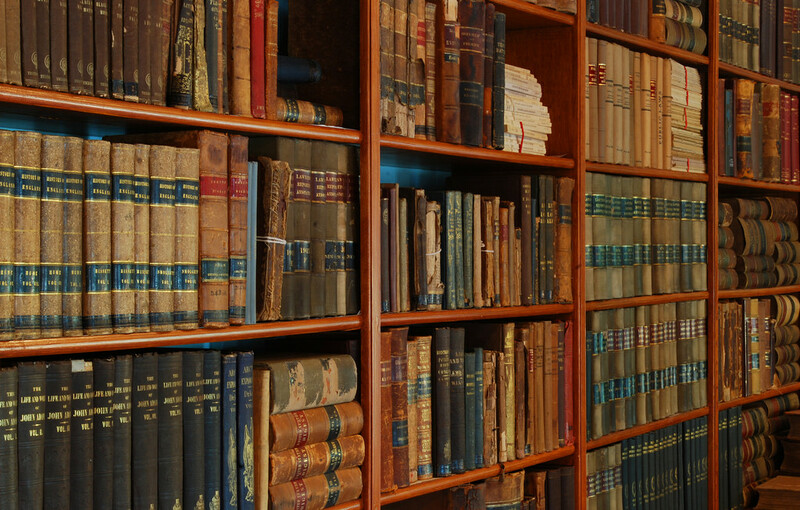 Several major encyclopedia publishers have online versions of their materials. Some charge an access fee to view full entries. In 2001, Wikipedia sought to change this by creating an open-source encyclopedia edited and curated by the Internet. With over 23 million articles, entries in Wikipedia are collaboratively written by volunteers around the globe. Because of this, the quality of writing may not make it the most reliable or accurate source of information. However, if you’re just looking to get a handle on basic ideas about your topic, Wikipedia is a great first source to check out. Also, make sure to click through and investigate a Wikipedia’s article’s references list to find other, more quality and reliable, sources of information on the same subject. With over 48 hours of content uploaded to YouTube every minute, YouTube has compiled more videos across every two week span (8 years of video per day) than total number of years that motion pictures have existed (117 years in 2012). Video can provide you a rich, visual depth to your Internet research, providing you with first-hand accounts, video tutorials and diaries, and citizen journalism. Online tools such as Project Gutenberg and Google Books now allow you to access full books from the comfort of your Internet browser. Project Gutenberg is an open-source collective of full texts now in the public domain. Google Books offers both full texts and partial previews on millions of books. Because both of these resources index the content of each full text, they are searchable to find the exact content and information you need. While many would dismiss the credibility and reliability of information garnered from social media sources, both Twitter and Facebook can provide intrinsic value to your Internet search. Most mainstream journalism outlets can no longer keep up social media’s immediacy of information sharing, making some into a form of citizen journalism that provides real-time, first-person accounts of world events. If you were preparing a work about the Arab Spring or the 2012 Presidential Election, social media would be invaluable to your research tracking populist sentiment and eyewitness accounts in real-time reporting. Given the widespread authorship of the Internet, carefully evaluate all Internet sources for credibility, reliability, bias, and accuracy. The biggest advantage of using the Internet as a research tool is the ease with which you can find information. The biggest disadvantage, then, is parsing through the bevy of information to find credible, reliable, accurate information. The burden of filtering truth from fiction in your Internet searches lies solely with you as the researcher. 3.3.2 – What is Search Engine Bias? The first thing to understand about using the Internet as a source of information is that search engines are biased gateways to the information you seek. This bias may be driven by proprietary search algorithms dictated by corporate sponsors, ad revenue, and even politics, thus affecting the type of search results your queries will display. Understand that just because you’re searching for something on a popular search engine, it doesn’t mean you’re getting the full spectrum of available information about your search query. When searching for reliable information on the Internet, there are several questions you should ask yourself with each source of information you find. This may seem tedious, but you don’t want your work to be undone by someone questioning the credibility of your research, or worse, you as a person. Age: How recent is the data or information presented in your source? When was the website last updated? Use only the most current information you can find. Depth: Does your material go in depth with your subject or merely cover the basics? Are the details from scholarly or academic sources? Look for sources that go in depth rather than provide you with just an overview of your subject. Author: Who wrote your source? What are their credentials? What makes them an authoritative expert on this subject? What biases might they have? Try to seek out impartial, authoritative experts when you can. Money: Who funds the website? Is the website trying to sell you anything? Who advertises at the website? Where else might this website be advertised? Again, you’ll want to seek out as many impartial sources as you can and you want to make sure that you fully investigate the transparency of any agenda a website might have. .com: The most popular TLD worldwide, originally used by commercial entities, now a de facto standard on the Internet. Reliability and credibility not always guaranteed. .edu: Only schools, colleges, universities and other educational institutions can use this TLD, often indicating a reliable source of information. .gov: Only government organizations may use this TLD. Guaranteed to be both accurate and credible. .org: Originally reserved for non-profit organizations (NPO) or non-government organizations (NGO), this TLD can be used by commercial entities. In 2012, a.ngo TLD has been added to the Internet Corporation for Assigned Names and Numbers (ICANN) as a domain extension. .net: Primarily used by internet service providers. Depending on what kind of information you’re looking for, sites with a.net TLD may or may not provide you with any useful information. Audio, video, and multimedia materials that have been recorded, then broadcast, distributed, or archived by a reputable party may also meet the necessary criteria to be considered reliable sources. Like text sources, media sources must be produced by a reliable third party and be properly cited. Additionally, an archived copy of the media must exist. It is convenient, but by no means necessary, for the archived copy to be accessible via the Internet. The rapid growth of social media and its ability to disseminate relevant information to multiple users based on shared interests and relationships has increased its importance in the world of Internet research. Wikipedia, one of the most popular wiki websites in the world, relies on scholarly material and crowdsourcing to provide accurate, targeted, and comprehensive information to the masses. When using social media sources, researchers should be aware of sites that have a poor reputation for checking facts or for moderating content. Such sources also attract publishers expressing extremist views, promoting products, or posting false and inaccurate information. For that reason, self-published media—whether e-books, newsletters, open wikis, blogs, social networking pages, Internet forum postings, or tweets—should be used with caution. Self-published material may be acceptable when it has been produced by an established expert on the topic at hand, and whose work in the relevant field has been previously published by reliable third-party publications. Prepare for your interview by researching your interview subject and coming up with a list of prepared questions. Preparing for Your Interview: Make sure you’ve done your homework and research before heading to an interview! An interview is a conversation between two or more people where questions are asked by the interviewer to elicit facts or statements from the interviewee. Interviews are used for purposes that range from evaluating job candidates to collecting market research and creating news stories. Interviews are usually led and completed by the interviewer based on what the interviewee says. They tend to be far more personal than questionnaires and surveys, as the interviewer works directly with the interviewee. The format also ranges depending on the context, purpose, and constraints for both parties. Once you’ve figured out everything you need to know about your interview subject or interviewer, it is time to prepare your questions. There are two approaches to this. First, you can make a list of talking points. These aren’t necessarily specific questions, however they serve as a guide for main points you want to make sure you hit over the course of your interview. Alternatively, you can be even more prepared by coming up with a set of questions for your interview subject or interviewer. Make sure you ask enough questions to get the information, or to demonstrate your knowledge of a certain subject or industry. Keep in mind timing and pacing during the interview. It is easy to overwhelm or appear aggressive if you ask too many probing or irrelevant questions. As an interviewer, you may use open-ended and close-ended questions. Close-ended questions typically have a yes or no answer, or some kind of definitive fact. Open-ended questions are those that are open to interpretation and experience. Even if you are planning to interview the foremost expert in your subject field, you should always do some research into your interview subject no matter how famous they might be. You’ll want to do this for a couple of reasons. First, you’ll want to establish rapport right away with your interview subject, even from the very first communication you have with the person asking if they’ll consent to being a primary source for your research. Second, you’ll want to evaluate that you have in fact selected the best person with the most credibility and authority to speak to that information for which you seek. Listen to your interviewee, ask questions, respect boundaries, avoid leading questions, and don’t interrupt to ensure a successful interview. An interview, in qualitative research, is a conversation where questions are asked to elicit information, usually pertaining to a product or service, as a means of gaining a better understanding of how a consumer thinks. 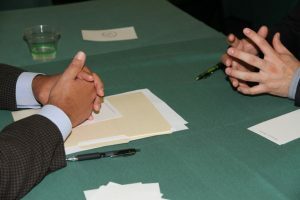 The interviewer is usually a professional or paid researcher, sometimes trained, who poses questions to the interviewee, in an alternating series of usually brief questions and answers.They are a standard part of qualitative research, in contrast to focus groups in which an interviewer questions a group of people at the same time. The qualitative research interview seeks to describe and the meanings of central themes in the life world of the subjects. 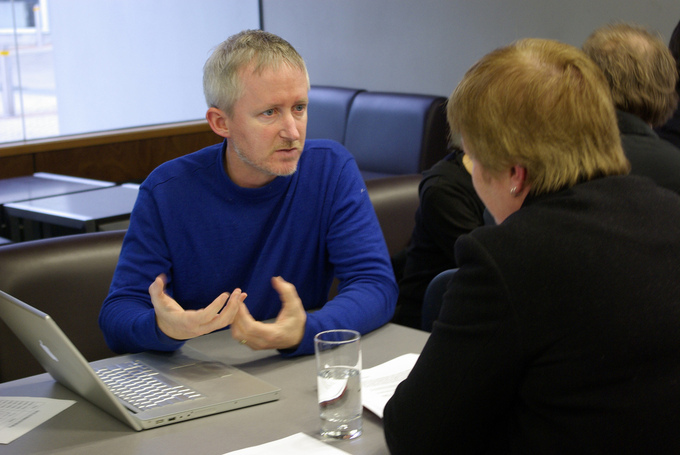 The main task in interviewing is to understand the meaning of what the interviewees say. Interviewing, when considered as a method for conducting qualitative research, is a technique used to understand the experiences of others. When choosing to interview as a method for conducting qualitative research, it is important to be tactful and sensitive in your approach. Interviewer and researcher, Irving Seidman, devotes an entire chapter of his book, Interviewing as Qualitative Research, to the import of proper interviewing technique and interviewer etiquette. Some of the fundamentals of his technique are summarized below. Conducting Your Interview: Be respectful and practice active listening to get the most out of your interview time. the process and flow of the interview, so as to remain aware of how tired or bored the participant is. The listening skills required in an interview require more focus and attention to detail than what is typical in normal conversation. Therefore, it is often helpful for interviewers to take notes while the participant responds to questions or to tape-record the interviews themselves to as to be able to more accurately transcribe them later. While an interviewer generally enters each interview with a predetermined, standardized set of questions, it is important that they also ask follow-up questions throughout the process. Such questions might encourage a participant to elaborate upon something poignant that they’ve shared and are important in acquiring a more comprehensive understanding of the subject matter. Additionally, it is important that an interviewer ask clarifying questions when they are confused. Seidman explains this tactic as “Explore, don’t probe.” It is essential that while the participant is being interviewed they are being encouraged to explore their experiences in a manner that is sensitive and respectful. They should not be “probed” in such a way that makes them feel uncomfortable or like a specimen in lab. If too much time is spent dwelling on minute details or if too many follow-up questions are asked, it is possible that the participant will become defensive or unwilling to share. Thus, it is the interviewer’s job to strike a balance between ambiguity and specificity in their questions. Leading questions are questions that suggest or imply a particular answer. While they are often asked innocently, they risk of altering the validity of the responses obtained as they discourage participants from using their own language to express their sentiments. It is instead preferable that interviewers ask open-ended questions. For example, instead of asking “Did the experience make you feel sad?”, it would be better to ask “How did the experience make you feel?” which suggests no particular feeling. Participants should feel comfortable and respected throughout the entire interview—thus interviewers should avoid interrupting participants whenever possible. While participants may digress in their responses and while the interviewer may lose interest in what they are saying at one point or another it is critical that they be tactful in their efforts to keep the participant on track and to return to the subject matter in question. Content analysis is an essential part of the follow-up, in order to summarize who said what and when. Content analysis is an essential part of the follow-up to any type of interview. You want to summarize or describe the responses and associate them with the source or group of sources, who were the sample of people who responded. You want to summarize who said what, and when. If have engaged in a one-on-one in-person interview, the you will want to use your best informational listening and note-taking skills to capture the content of what was said. If you used an online synchronous or asynchronous interview method, you will already have a transcript or archive of the content, but will need to reliably summarize the responses to your interview questions. The different methods of interviewing will require different methods of follow-up to capture the content and prepare it for use. 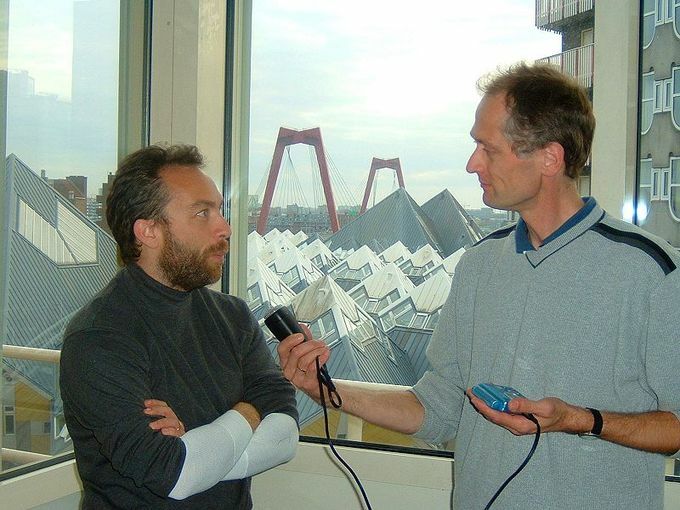 In-person Interview: Record the interview for playback and analysis. If you have interviewed synchronously one or two experts in person, telephone, or video conference, then you will want to listen to the recording of the interview and mark points of interest. You can either take notes, transcribe relevant answers, or mark with a time stamp the location of important content that relates to your topic for replay or review later. Online synchronous interviews use simple text chat functions that can be recorded or archived for later analysis. If you have conducted an online synchronous interview using chat, make sure you have actually activated the archive feature so that you have a recorded transcript of the chat and are able to review each of the questions and responses at a later time. Since you can chat interview with a number of people about your topic, you may eventually want to summarize and analyze the data for patterns in the responses. An asynchronous online interview is one where the researcher and the researched do not need to be online at the same time. Typically these interviews will use email, but other technologies might also be employed. If you conducted an online interview asynchronously, you may have a large sample of geographically dispersed respondents. You will need to summarize the content or tabulate the ratings if you used rating scales for the interview questions. If you asked closed questions, you can tabulate the frequency of responses in the different categories. However, if you asked more open-ended questions, you will find it useful to code the content of the interviews with some system so that you can group the responses into meaningful categories in order to summarize the results. Personal Interview face to face—Expert, A. (2013, May 2) Personal Interview. Personal interview by telephone or chat—Expert, A (2013, May 3) Telephone (chat) Interview. Personal interview by email—Expert, A. ( 2013, May 4) Email Interview. Originally published by Lumen Learning – Boundless Communications under a Creative Commons Attribution-ShareAlike 3.0 Unported license.